In case you didn’t know, Levitt Pavilions is based in Los Angeles. While we don’t see snow in the city, many of us are originally from cold weather climates (Wisconsin, Minnesota and Nebraska) or have spent significant time in places that can get very, very cold. 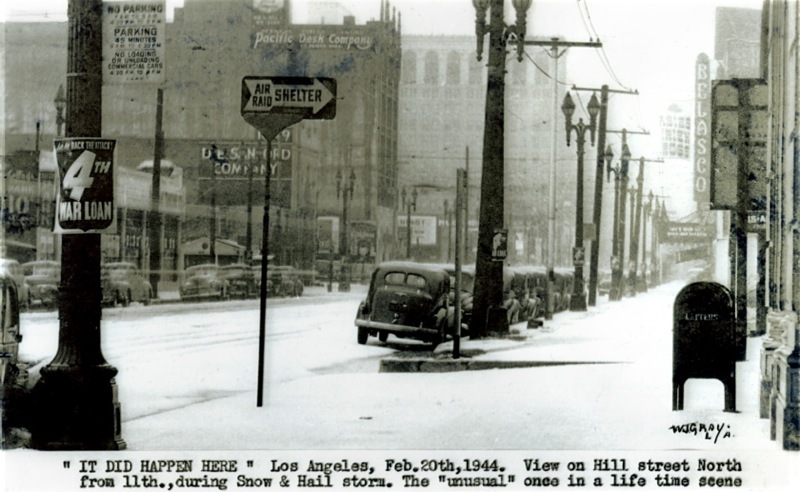 So when we see creative placemaking projects that involve snow, we get really excited. OK, I get really excited. I suddenly have an urge to throw a snowball, lick an icicle, grease up a metallic disc sled or watch Home Alone. So imagine this: you live in a city that gets a lot of snow. Maybe it’s Chicago, maybe it’s Boston. And instead of the city plowing snow into unknown spaces, there are designated “snow zones.” Piles, like the ones you used to play on as a kid, go up in areas that are accessible to all. Snow is sculpted into mini glaciers that inspire contemplation and improve an otherwise grey, cold, urban landscape. This is the idea behind one of the winners of 2013’s Center for Outdoor Living Design (COLD) Coldscapes award, Noel Turgeon’s and Natalya Egon’s Second Hinterlands. 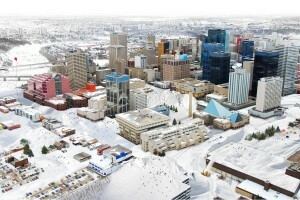 Turgeon and Egon reimagine cities as blank slates for snow drifts, dunes and mounds. Other fantastic finalists include an ice skateable Freezeway for Edmonton, a thermal pool facility in Duluth and a lively, colorful installation for The Lakes of Copenhagen. Look again: This koosh ball-like structure is actually a warming hut. The world’s longest skating surface, Winnipeg’s Red River Mutual Trail, offers skating and sledding in the wintertime, with unique, cozy warming huts dotting the length of the trail. This year, a design competition for the huts brought in nearly 200 entries, with the winning huts taking inspiration from Koosh balls to Christo and Jeanne-Claude’s The Gates. 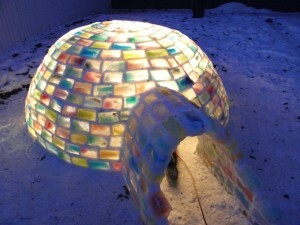 And in one Edmonton backyard last year appeared a gorgeous “stained-glass” igloo. Imagine these on a bigger scale in a city like Omaha! Finding ways to liven up the outdoors in the cold winter months is certainly not new. Did you know that the Thames used to freeze over in London? 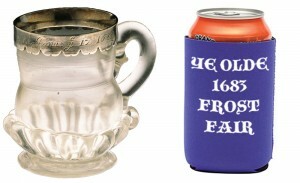 And when it did, “Frost Fairs” were set up on the frozen river, even sending revelrous Londoners home with souvenir mugs in 1683. And European winter markets continue to be magical places, with locals and tourists of all ages strolling through city streets with warm cider or mulled wine in hand. I like to think that, at the heart of creative placemaking, are really two concepts: fun and play. And it might be that the best creative placemaking (playmaking?) projects let us escape a little, let us connect with our younger selves, whether that be packing snow into mounds that pile higher and higher to the sky or keeping warm at an orb-like warming hut after skating.